Dollar stores are banking on Americans’ appetite for bargain-priced food. Supermarket News reports both Dollar General and Dollar Tree are expanding their grocery offerings as sales of consumables have been steadily rising. But the two chains will take different approaches to their food sections, with Dollar General rolling out a “Good & Smart” line of healthier products while Dollar Tree expands its Snack Zone of candies, cookies, and those cakes that look like pink earmuffs. 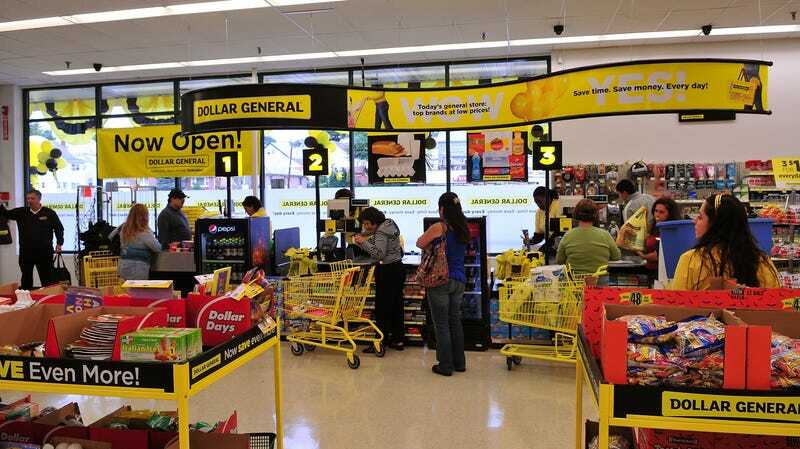 It’s a tale of two kinds of shoppers: Dollar General executives say they’re remodeling stores to add produce and refrigerated sections for customers, especially in rural areas, who don’t have other grocery-store options. Dollar Tree, on the other hand, is banking on our collective inability to walk past a Doritos endcap without caving to its neon siren song: “The Snack Zone is designed to provide customers with a compelling assortment of immediate consumption products at the dollar price point,” Supermarket News reports President and CEO Gary Philbin told analysts. While news that more of us are doing our grocery shopping at dollar stores could at first seem like a kind of sad, this-is-America-in-2018 moment, the introduction of healthier items in some stores (Dollar General estimates it will add 130 new products in that Good & Smart line) potentially means better selection for people shopping on a budget. If customers in certain areas don’t have other options for supermarkets, at least dollar stores could offer a more robust selection that includes some apples alongside the ramen packets. We love a good impulse snack purchase as much as the next person, but we also know a person cannot live by Flamin’ Hot Cheetos alone.